Providing you the best range of coal tar paint for boats with effective & timely delivery. 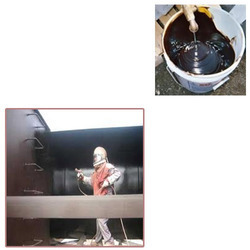 We are a paramount organization that is engaged in providing Coal Tar Paint for Boats. The offered aluminum paint can be availed from us at reasonable prices.Our quality controllers' check this paints on various defined parameters in order to assure it quality at clients end. Looking for Coal Tar Paint for Boats ?